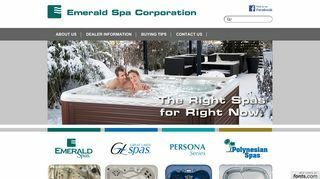 Emerald Spa Corporation – Emerald Spas offers 4 lines of spas. View our on-line catalog and factory tour video. – Emerald Spas offers 4 lines of spas. View our on-line catalog and factory tour video.